vehicle to poor running issues. Give your vehicle a better chance of passing an MOT, while helping the environment. Ensure your vehicle gets more mileage for your money every time you refuel. As your vehicle gets older it loses power, this can have a negative effect on fuel economy. 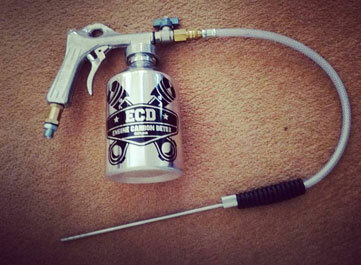 Removing engine carbon will result in smoother vehicle performance and a quieter engine. 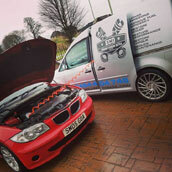 Return your vehicle's performance back to factory specification! 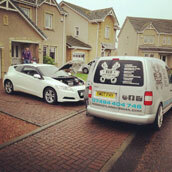 Help prevent costly repair and MOT bills. OUR expert answers the most frequently asked questions about the services. 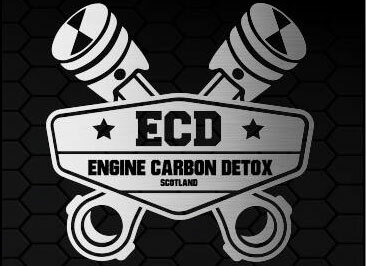 Engine Carbon Detox How does it work? Engine carbon detox is a simple 30-40 minute process using our hydrogen gas technology. By feeding the gas into the air intake system excess carbon is removed from all the engine components and then exits through the exhaust system as water vapour. The process is proven to improve and on occasion completely eradicate poor running issues. Carbon build up is more common in diesel vehicles, cars rarely driven, taxis, buses and vehiceles with high mileage. Common symptoms of high carbon build up include, EGR valve issues, reduced MPG, motor feeling sluggish, smoky exhausts/increased emissions and louder engines. DPF Deep Clean is a professional treatment designed to clean Diesel Particulate Filters that have become blocked due to a build-up of soot. It is a much more cost effective solution than replacing the DPF. This treatment includes a direct flush into the DPF followed by a diagnostic regeneration of the DPF to reset the engine management system followed by a test drive. In some cases the cause of the blockage can be the incorrect oil grade being used In the vehicle. 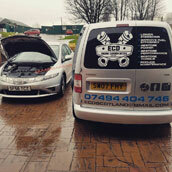 All modern cars and vans on the road today have an ECU (Engine Control Unit). This ECU can almost be described as the vehicles ‘brain’ and contains a small processor that takes information from various sensors throughout the engine. It analyses information such as the engine temperature, accelerator pedal angle, oxygen content in the burnt exhaust gases as well as many more parameters. Using the information from these sensors it can then add the right quantity of fuel, at just the right time to provide a good mix of fuel economy, performance and emission control. ECU remapping is taking a read from the ECU’s processing chip of the vehicles standard compromised map and adjusting various parameters within the map such as fuel pressure, boost pressure (on turbocharged applications) ignition advance and throttle pedal control amongst others to release the true performance from the engine. It is a completely safe process as it is just giving the engine the performance it should have had in the first place before all the compromises were applied to the original programming. 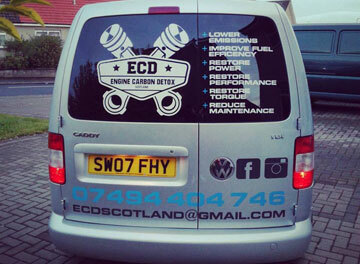 Customer Commitment Why ECD Scotland? As a passionate car enthusiast, performance and efficiency has always been important. At ECD Scotland we can't think of anything better than working in an industry that we have genuine belief in the benefits of the service to our customers. Seeing the positive results in customers vehicles plus knowing we are saving them money on fuel and future repairs is extremely rewarding. 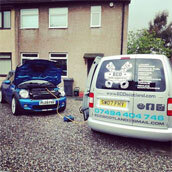 For customer convenience we are a mobile company and come to you to perform our service. Great, efficient service with no problems at all. Car is definitely more responsive throughout the rev range. Great service on my mini. took it for a quick drive today and it certainly seems smoother anyway. customer service was great as well.